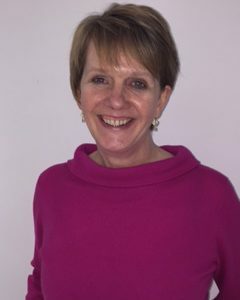 Alison Bruce is a National Institute for Health Research (NIHR) post-doctoral research fellow and leads the BiB research programme investigating children’s vision. She is Head Orthoptist for Bradford Teaching Hospitals NHS Trust and has considerable experience in clinical practice. Alison has held two NIHR fellowships her doctoral fellowship was based in the School of Vision Science and Optometry, University of Bradford and her research examined the structure of the eye using Ocular Coherence Tomography (OCT) in children and adults with poor vision (amblyopia). Her current research programme is investigating the impact of vision on children’s early developing literacy, exploring reasons for non-adherence to treatment and developing programmes of applied health research in these areas. Alison holds Honorary Research Fellow positions at the Dept. of Health Science, University of York and at the School of Vision Science and Optometry, University of Bradford. She was awarded the Royal Society of Medicine Squint Forum Prize in 2016 for her research. Alison Bruce, Louise Outhwaite, (2013). Uptake, referral and attendance: results from an inner city school based vision screening programme. British and Irish Orthoptic Journal 42-46.